An obvious advantage of these chairs over power chairs is their portability. 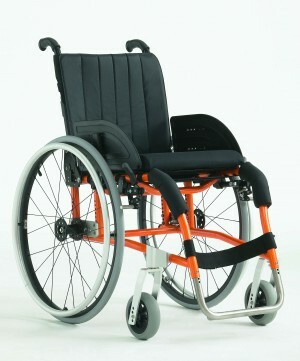 The weight of these chairs can vary quite a bit, ranging from 9.5kg to 20kg. 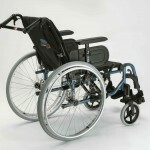 Power chairs, on the other hand, can be in the range of 82.5kg to 139.7kg (13 to 22 stone) without the user. 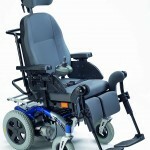 For this reason, these types of chairs tend to be pretty inexpensive. 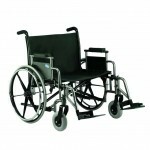 Maintenance is relatively low, if non-existent, unless damaged during transport. 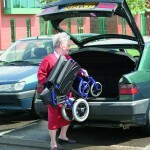 When folded, they are relatively compact, becoming very narrow to allow easy stowage in the trunk of nearly any car. 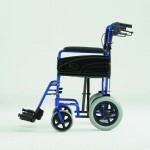 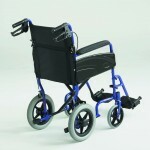 We provide a full range from lightweight to heavy duty manual wheelchairs which are self-propelled or transit models. 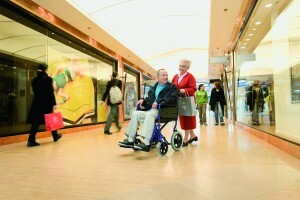 Manual wheelchairs can be placed into three categories: light-duty and heavy-duty. 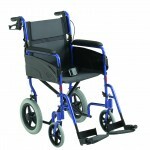 There are two types within the light duty and heavy duty chairs and these are self-propelled and transit. 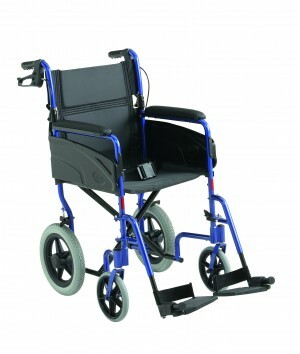 Self-propelled have two large wheels to the rear for the user to push themselves or at leave have some control over the chair. 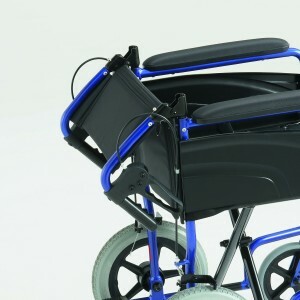 The transit wheelchair is designed for those who are not able to take any control over the wheelchair and need a carer while using the wheelchair. 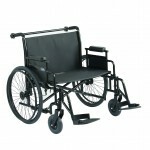 Light-duty chairs are essentially the no-frills wheelchairs that you often see in hospitals, airports, etc. 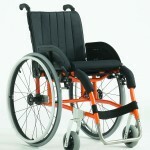 They do not provide much in terms of support, and rarely provide the means to adjust the chair to the user. 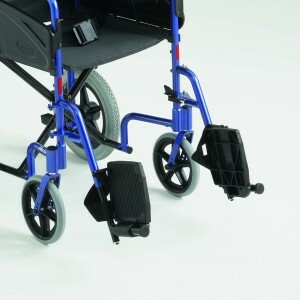 As a basic wheelchair to use if the user wants to take a break from walking, this is the most cost effective choice. 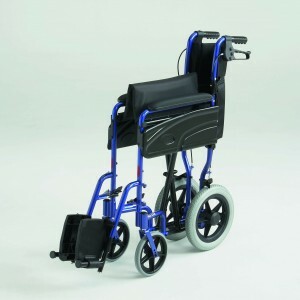 As for self propelling, these chairs tend to be somewhat heavy and clunky which, coupled with the lack of support, may make it difficult for the user to push him/herself. 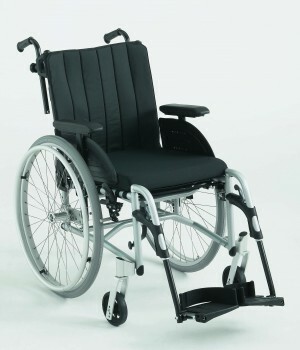 These chairs are economy chairs. 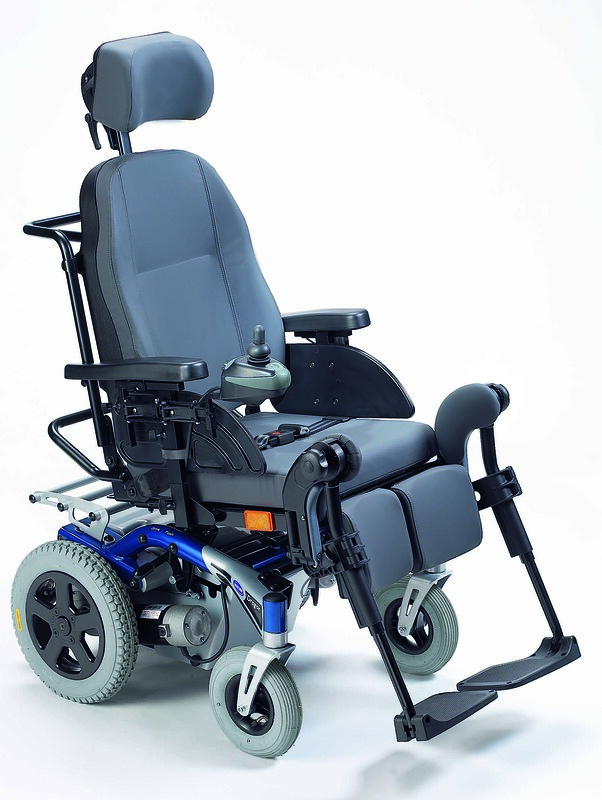 Heavy-duty chairs solve many of the comfort and adjustment issues that light-duty chairs lack at the expense of some compactness. 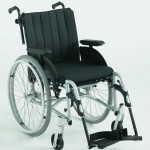 These types can be had with seat cushions and hard backs which greatly increase the comfort and support for the user. 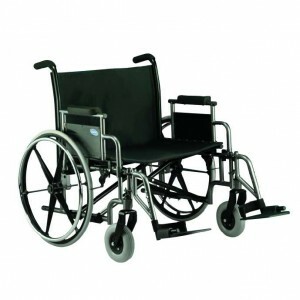 Pneumatic tires are typical of these types of chairs which can smooth out the ride. A variety of casters can also be fitted to suit the needs of the user for either increased manoeuvrability or stability. 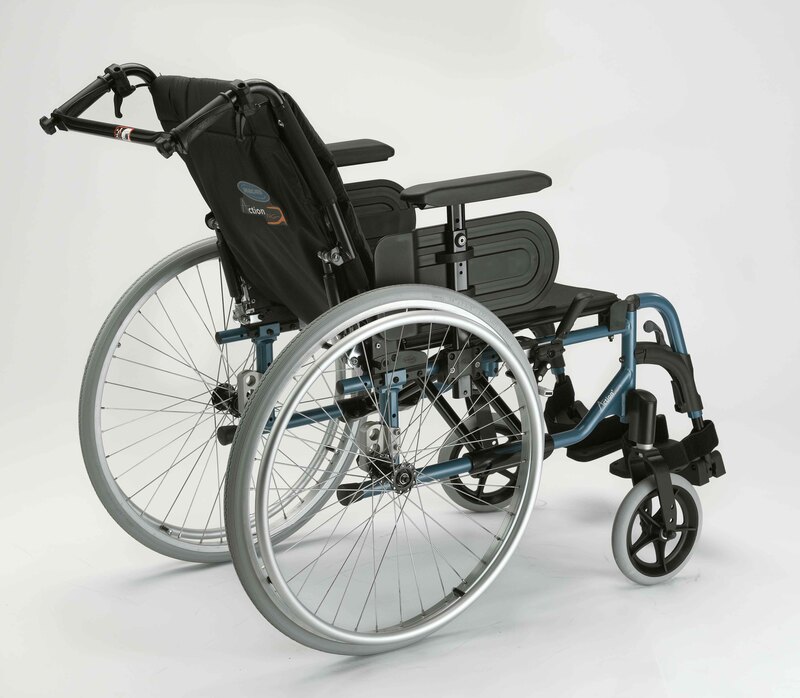 Extra framework tends to be present around the bottom of the seat to provide extra rigidity further increasing support for the user and making it easier to self-propel. 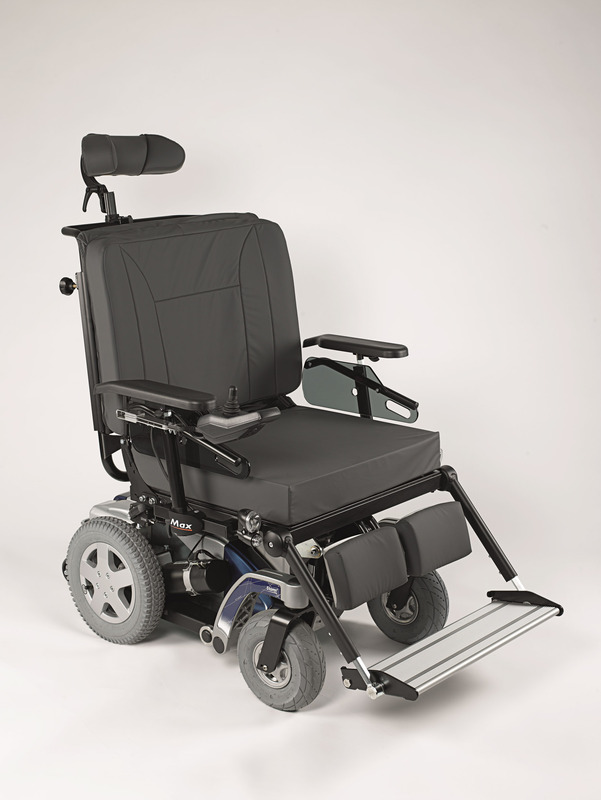 Despite some of the additions that heavy-duty manual chairs have, they are typically around the same weight, if not lighter, as the light-duty chairs due to the increased use of lightweight materials. 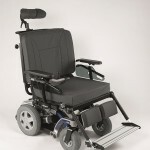 The major disadvantages to heavy-duty manual chairs is the fact that the seat cushions and rigid backs can make them slightly less compact then their light-duty counterparts and the fact that they do cost more than light-duty chairs. 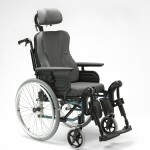 They can be designed as sports active chairs, high performance sport wheelchairs raise the bar for perfect driving characteristics. Ultra-light material, high performing technology and efficient ergonomics – all in perfect balance. Meant for those with good upper body strength. 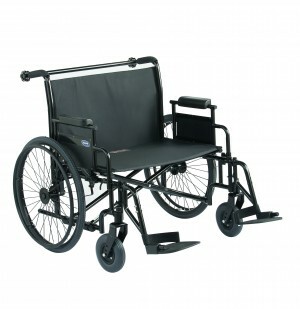 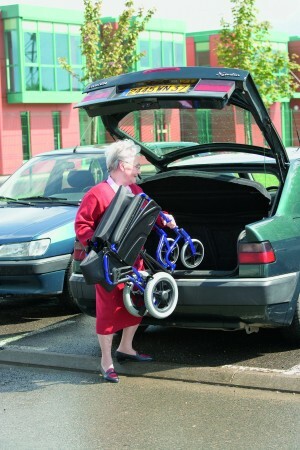 The heavy duty wheelchair can also be made for a larger user weight of around 25 stone.